The John Deere model 140 was built in two basic versions, the 140H1 and the 140H3. The H3 featured three hydraulic valves, providing the ability to operate multiple attachments. 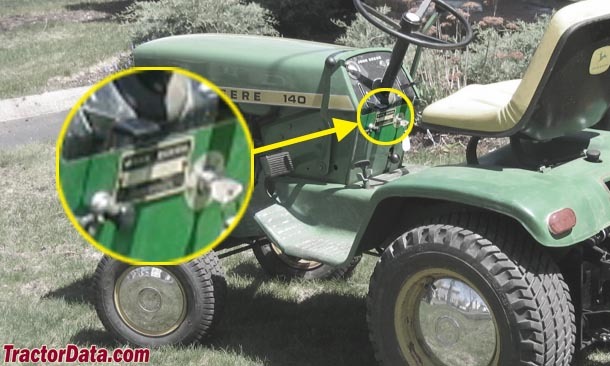 Location: Below steering column or on the right side of tractor, just inside the hood.